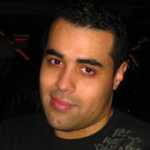 Alex Bracetti is a contributing writer at Complex. The Back Story: Despite 3D technology not yet to being perfected, and the view held by skeptics that it&apos;s a technical artifice, the thought of a smartphone capable of supporting three-dimensional visuals is still a feature that most of us would love to experience. So when Sprint and HTC announced in March it would team up to release the first-ever 3D phone this summer, we hawked the tech blogs until a release date was confirmed. It’s finally here. Seeing how HTC set the mobile standard with last year’s EVO 4G, and updated it recently by integrating two of today&apos;s most prominent smartphone features (Gingerbread, dual-core processing) into one phone with the Sensation 4G—if any company could build a 3D handset—we’d place our chips on HTC. Not only did the manufacturer construct one, it also managed to squeeze in the Sensation&apos;s Big three features. So with all that firepower under the hood, as well as 3D capability, does the EVO 3D have what it takes to provide us the ultimate 3D mobile experience? • Gorgeous, glasses-free 3D display: The monstrous 4.3-inch qHD 3D touchscreen adopts the same parallax barrier technology used in the Nintendo 3DS to produce impressive 3D visuals that can be experienced through pictures, videos, and particular games. Obviously the 3D is limited to multimedia, but the screen&apos;s 2D presentation is stellar as well. It&apos;s an improvement over the EVO 4G&apos;s WVGA screen, as it boasts stronger pixel resolution (540x960), sharper contrast, and better viewing angles. In short, everything from the interface animations to the onscreen text is visually better. • Dynamic dual-core CPU and enhanced software: Qualcomm’s 1.2GHz chip is a multitasking beast that flexes serious muscle on the performance end. Commands executed flawlessly, menu navigation was speedy, web pages opened immediately, and the frame rate on most videos and games fared better than we anticipated. On the software end you’re looking at the latest Gingerbread update, as well as HTC’s new Sense 3.0 UI, which we broke down in our Sensation review. Once again, the new lock screen ring-drag feature is the scene-stealer, offering users immediate access to a customized set of apps and widgets without unlocking the device. • Multimedia powerhouse: Right off the jump, Sprint blesses you with a free copy of The Green Hornet 3D and the Spider-Man 3D video game, and yes, both look amazing. Also, YouTube now offers a 3D app that lets you watch clips in both 2D and 3D, and automatically uploads the HQ version of videos for your viewing pleasure. Gaming spearheads the 3D brigade, as popular titles like the FPS NOVA 3D and racer Asphalt 6 play well and showcase premier graphics. Developers Gameloft provide an app to download up to six 3D titles (for the moment), plus you have the option to hit the Android Market and go nuts. 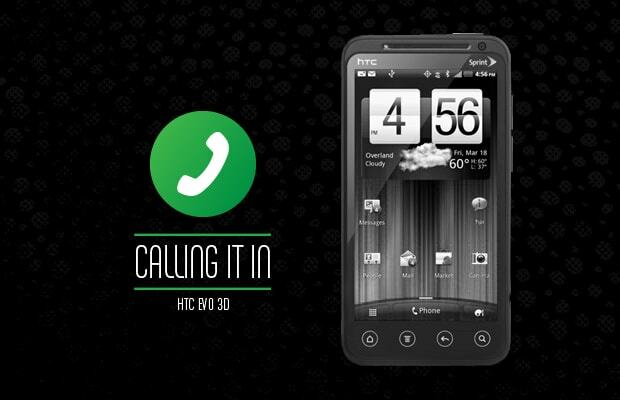 Sprint’s also claiming that a Blockbuster app and the new HTC Watch Hub will offer 3D content in the near future. • Good 4G coverage: Sprint&apos;s WiMax service isn’t as fast as Verizon&apos;s LTE network, but the carrier’s been making some headway with its high-speed service and the EVO 3D serves as evidence. We managed to pick up strong 4G signals across the Tri-State area and data speeds fluctuated from moderately quick to lightening fast. Our web browsing experience was zippy and mobile updates loaded instantaneously. App downloads weren’t as fast, but that’s just a minor gripe that shouldn’t take away from Sprint’s improved 4G connection. • Dual-camera quality and features: The bulging dual 5MP rear camera is capable of taking 3D photos and videos (720p), and depending on the levels of detailing, it does an even-handed job of capturing both. In 2D mode, images are crisp, colorful, and super bright thanks to the built-in dual LED flash. Plus there’s an option to record HD 1080p clips. The front-facing 1.3MP camera does the trick for video conferencing as well. Best of all, there’s a toggle found on the right side that lets you switch between shooting in 2D or 3D and HTC gives mobile shutterbugs the one novelty they’ve been clamoring—a dedicated camera button—something that’s been MIA on most new Android phones since the Droid X. • Solid and sleek build: HTC ditches the glossy, soft-touch shell in exchange for a sturdy, rigged-rubber chassis on the back that molds right into your hands. The high-quality construction is a sigh of relief for previous EVO 4G owners, as the device sports a concave front screen that is a major upgrade from the overly exposed and damage-prone face of its predecessor. It’s slimmer than its predecessor, too. • Pre-installed locked bootloader: In the same vein as the Sensation 4G, you can’t upload ROMs or kernels without turning your phone into a brick. HTC CEO Peter Chou did announce via Facebook that the company would no longer preload its devices with the security feature: “There has been overwhelmingly customer feedback that people want access to open bootloaders on HTC phones…I&apos;m confirming we will no longer be locking the bootloaders on our devices.” Whether a software update is in the works for the EVO 3D is uncertain, for now. • Missing EVO 4G fancies and small memory: EVO fans can say peace to the built-in kickstand and the HDMI port. Though you can use the optional MHL adapter to mirror content on an HDTV. Also, there’s only 4GB of internal memory and a 8GB microSD, so upgrading to a bigger memory card is mandatory in order to store a huge media library. • Weak battery: Basking in WiMax and 3D goodness will deplete battery life within a matter of hours. How many? Well, according to HTC the phone is capable of pulling 465 minutes (est. eight hours) of talk time, but we only procured six. For what it’s worth, there’s the ability to toggle between 4G and 3G. • Poor call quality: Even with strong reception, we experienced some distortion and overheard muffled noises during incoming calls. The speakerphone lacked audio clarity and high volume as well. Final Say: The EVO 3D is Sprint’s best and most powerful phone right now. Yes, the 3D hogs the spotlight, and shows serious potential going into the future, but it’s the phone’s other hallmarks that make the EVO 3D a goliath. The Qualcomm CPU continues to perform better with each new HTC phone and is giving the NVIDIA Tegra chip a run for its money as the dominate mobile dual-core. Features like the camera button and the 2D/3D toggle, plus the Sense UI enhancements, strengthen the phone’s mass appeal. Sadly, the EVO 3D is an energy guzzler that requires the attention of an extra battery or charging case. But that’s a given for most 4G phones available now. And considering how it rocks Gingerbread, a dual-core processor, WiMax speed, and 3D for just $200, it&apos;s a steal for Sprint subscribers.